60 deg. 34.337 North, 7 deg. 19.227 East. How to get there: The railway station Finse is the natural starting point. See further information under Hardangerjøkulen. Route description: We skied from the summit plateau of Hardangerjøkulen, northwest to point 1723, a very gentle downhill slope for about 5 km. Skiing south of 1723 (but east of point 1666), we then skied the slightly steeper slope down to the pass between Hardangerjøkulen and Ramnabergnuten (about 1490 m). 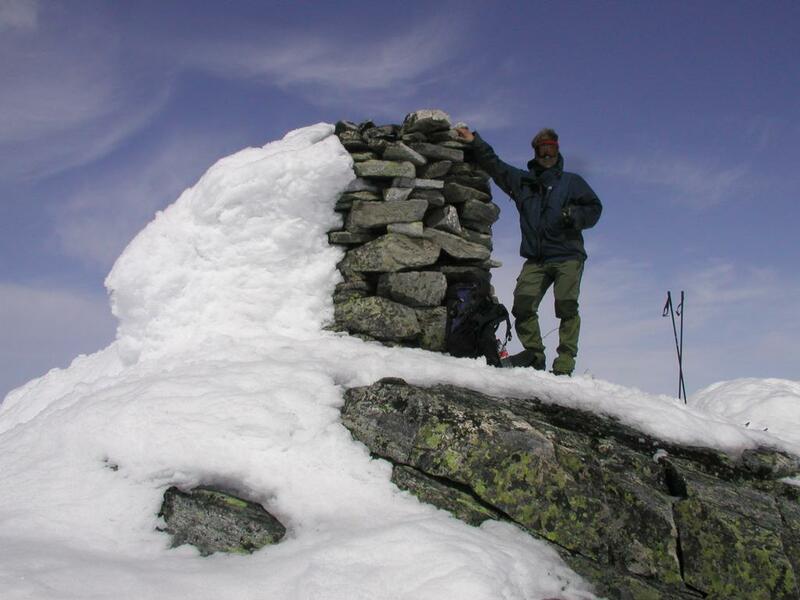 From here up to "Ramnaredet" (or Ramnaberghytta) at 1560m and further up to a distinct summit with a large cairn. 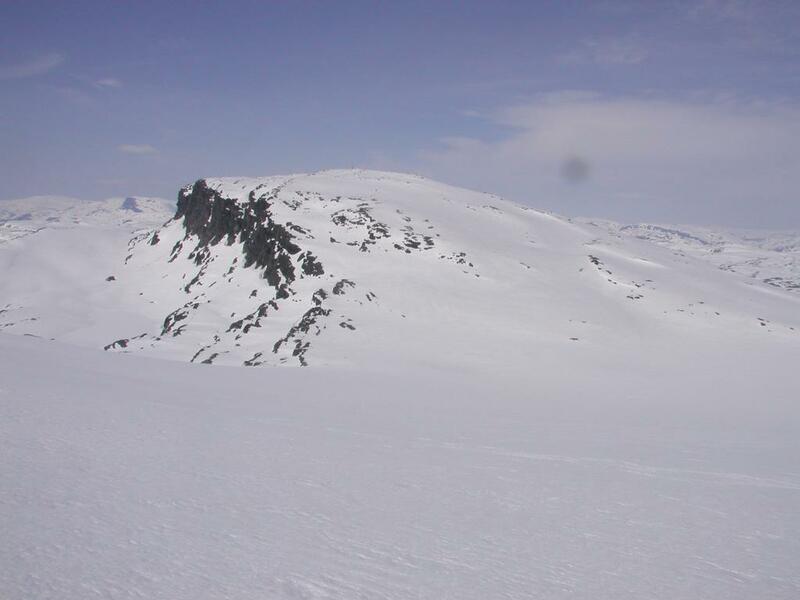 We returned the same way across Hardangerjøkulen, however, an easier return would be to ski north-east from the pass and join the trail via Dyrehaugnutane back to Finse. Comments: I did this climb with my friend Arnt Flatmo. This peak is the highest point (on rock) in Eidfjord. There is a second summit a few hundred meter west, however this is 3 meter lower. We reached the summit after 4 hours via the top of Hardangerjøkulen (1863 m). We returned the same way with a total trip of 7 hours. The cairn on Ramnabergnuten. Arnt has a well deserved break. Ramnabergnuten, as seen from the Hardangerjøkulen just opposite of the pass.